Renee Keogh aims to empower parents through clinical assistance, information and support. She offers holistic care not just for breastfeeding problems, but also for problems of unsettled infant behavior, feeds and sleep throughout the first years of life. She works closely with families to address issues of fussy feeds (breast and/or bottle), pain with breastfeeding, supply, returning to work, and more. By using the Gestalt breastfeeding principles, Renee offers many families an alternative to invasive oral surgeries to achieve comfortable feeding. Renee uses evidence-based Neuroprotective Developmental Care (NDC), or “The Possums Programs”, to provide education, advice and practical measures that make a significant difference to the families and infants she works with. She sees families experiencing a wide range of sleep difficulties, and develops plans with them to achieve more manageable sleep patterns that do NOT involve “cry it out” techniques. Renee is a registered nurse who achieved her Bachelor of Nursing (BN) degree from Queensland University of Technology (QUT) in 1997. She worked in a range of nursing roles in hospitals including the Royal Darwin Hospital, Sydney’s Royal Prince Alfred Hospital, Canberra Hospital and Canberra’s Calvary Hospital. She completed a Graduate Certificate in Neonatal Intensive Care Nursing (GradCert NICU) in 2004 and became an International Board Certified Lactation Consultant in 2010. 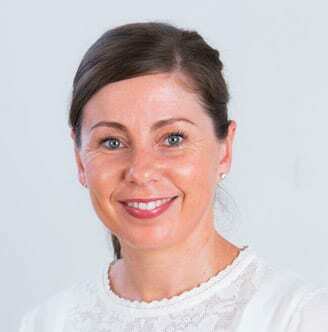 Renee commenced working with Dr Pamela Douglas as part of the Possums Programs in 2015, and is an accredited Neuroprotective Developmental Care practitioner. She enjoys working with families and takes great reward from the feedback she receives about the difference she makes in their lives. Her calm and measured approach to problem solving begins with an assessment, followed by a forward plan, and then extends to provide ongoing support. A parent herself to four little ones, Renee knows first-hand the challenges that being a parent can present.